Did you know animals go to therapy too? 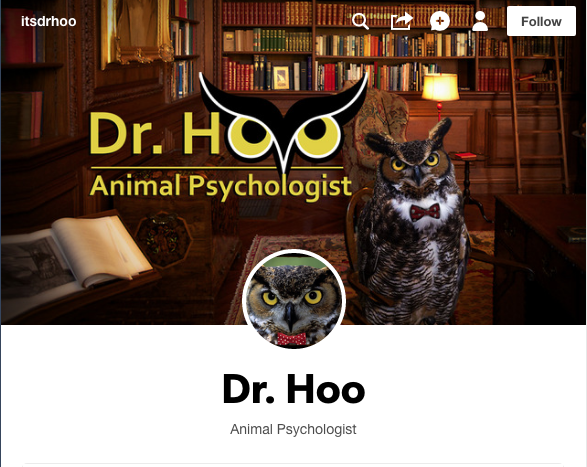 Presenting a crudely photoshopped Tumblr blog about Dr. Hoo, an owl therapist, and his diverse animal cliental. 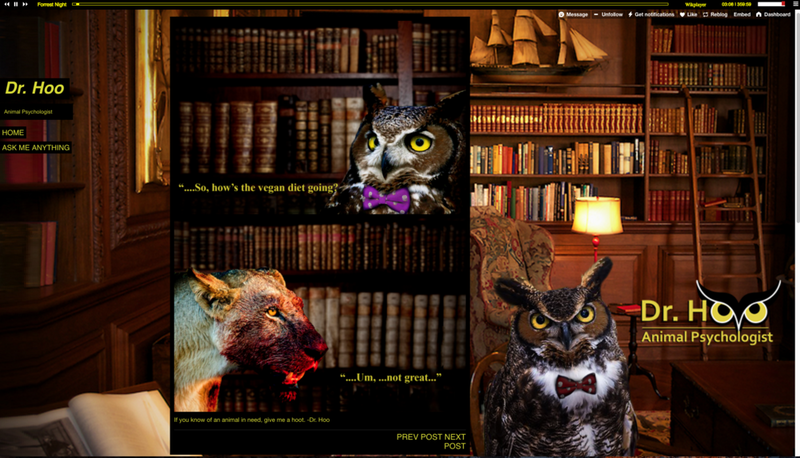 As I write this, the blog is just about two weeks old and has over 500 followers and growing. This chamelon post got over 500 notes already.